I been loving the recent TreatBox boxes I’ve received and this one is no exception! I particularly love boxes that have a different theme each month as the Treatbox Boxes do. The theme for the month of April is based around travel and adventures which I love! 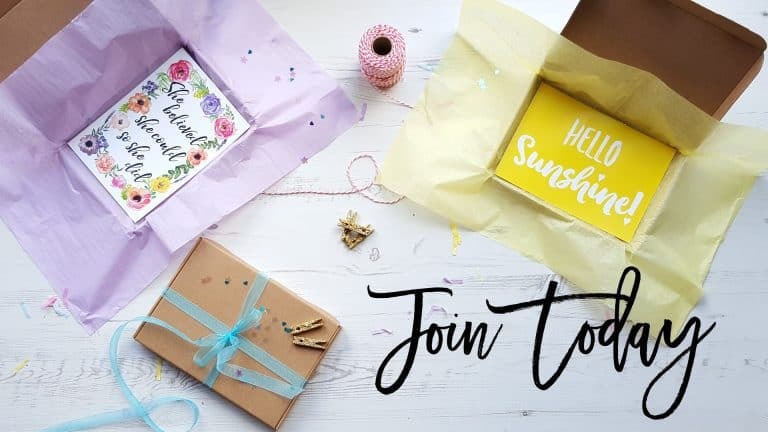 There are seven items within the box which ranges from travel sized beauty samples and homeware to travel accessories. The first item and one of my favourites from the April box is this adorable and very well made pin. 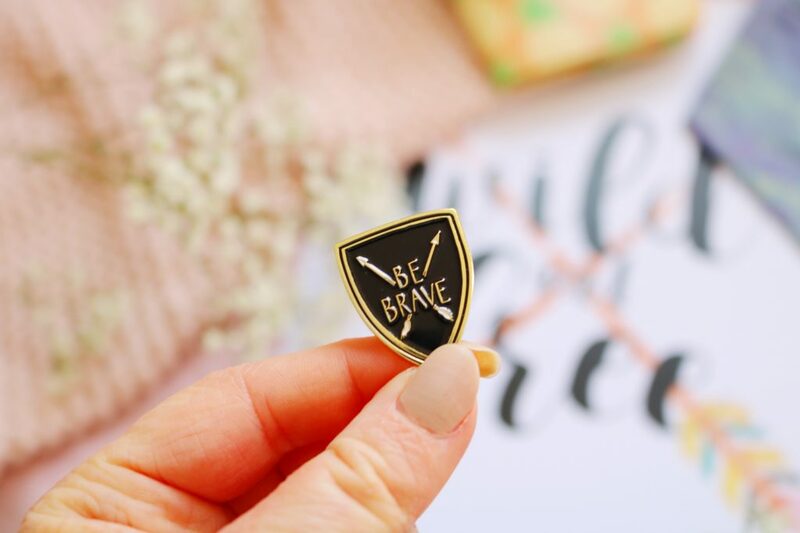 It’s an enamel pin with ‘be brave’ engraved onto the front in an almost school logo design. The pin is so cute and I’ll be adding it to a tote bag – it’s a Treatbox exclusive product! 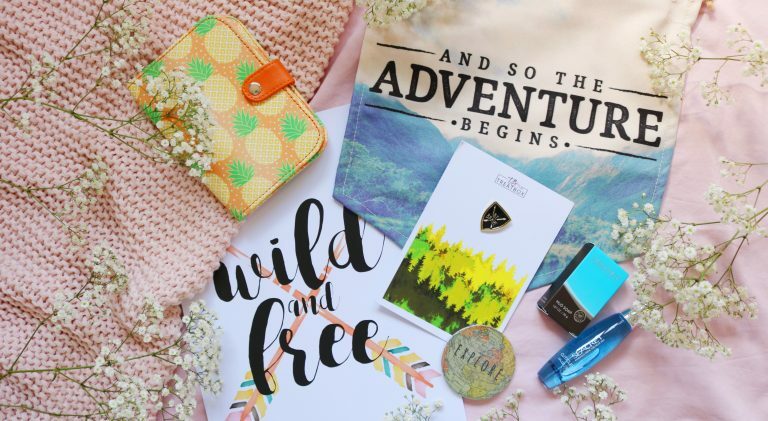 There are two beauty samples within the box, both of which are ideal to take on a holiday or weekend away. 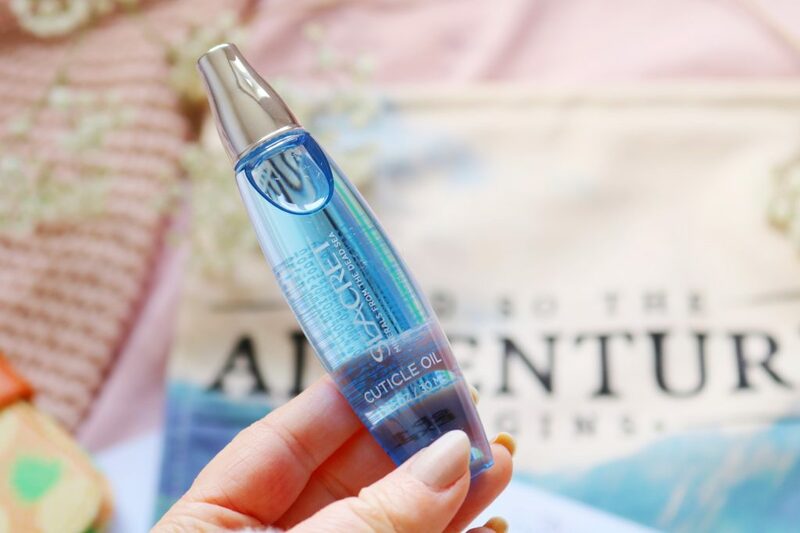 The first is the Seacret’s Cuticle Oil (RRP £14.95) that is deigned to protect your nails and help them to grow strong and even. It also helps to soften the skin and prevent dry cuticles. Thankfully I have pretty good nails so I don’t personally use products like this but I think it will be very useful to so many! The second and final beauty item is also from the brand Seacret’s and it’s their mud soap (RRP £11.95). 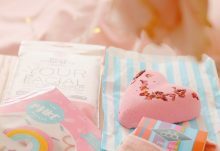 The soap is enriched with mineral-rich Dead Sea mud which gentle cleanses the skin to give it a healthy glow. The size is ideal to take away or as a trial size. I love keeping travel sizes for when I do go away as they’re so much easier to travel with compared to full sized products. 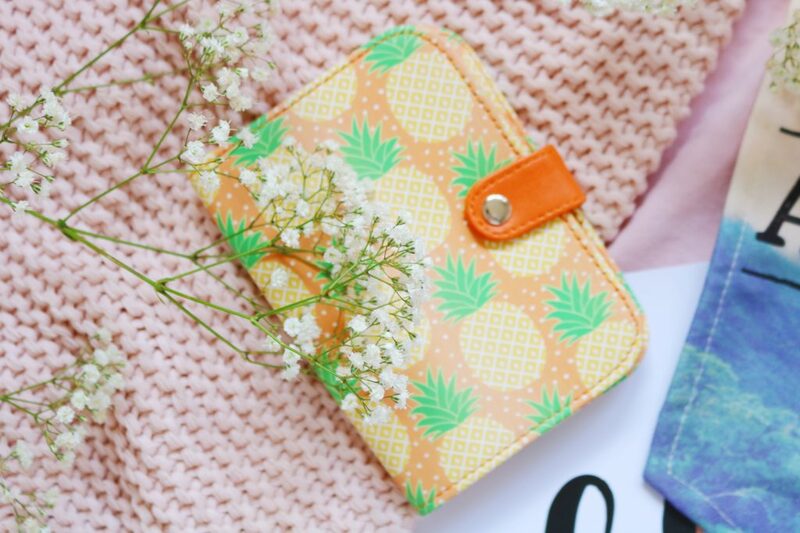 Sticking with the travel theme is an absolutely adorable Sass and Belle Pineapple Passport Holder. It’s ideal for your passport and small tickets so everything is safe in one place. I adore the design, it’s incredibly colourful, bright and summery – thankfully the weather is becoming closer to summer temperatures now (English summer temperatures anyway…). 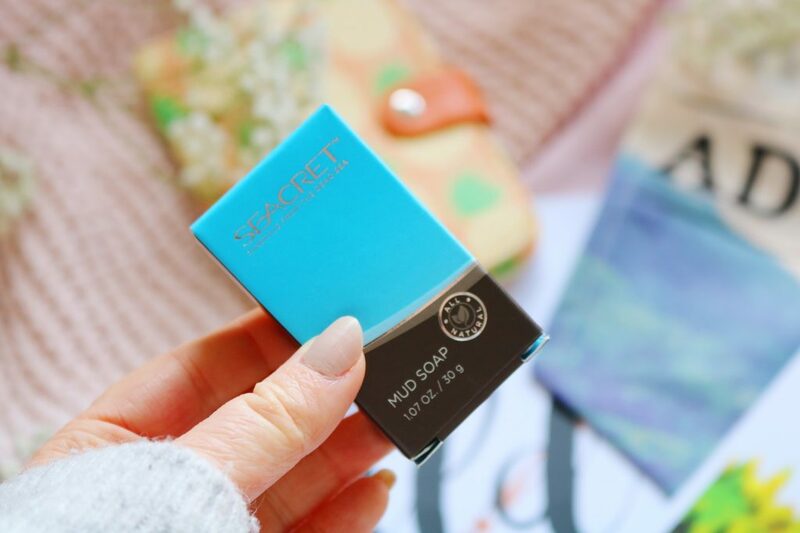 A perfect addition to the Seacret’s cuticle oil is this cute nail file which has the word ‘explore’ printed on the front of a globe design. 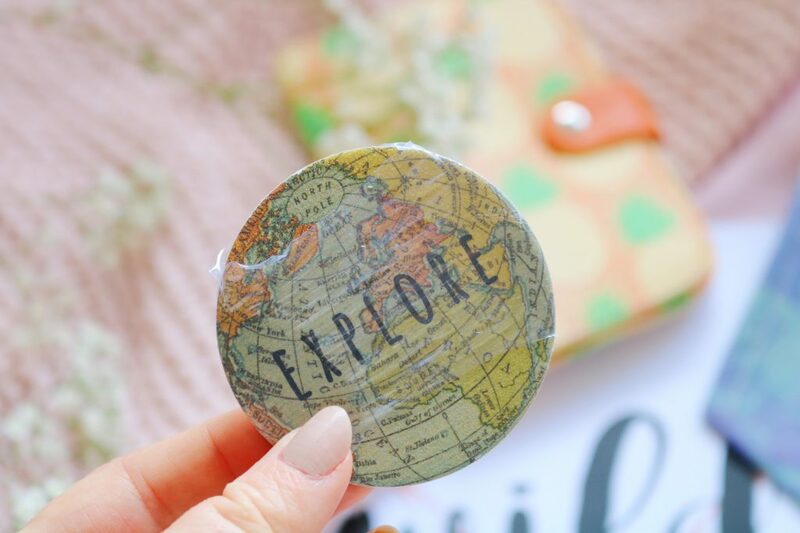 I have the ‘explore’ design but there are three others that you could receive including: discover, dream or wander. I always have mini nail files in my handbag and while travelling so this is perfect to keep for my next holiday! Within each box, there’s always a cute print and this months box is probably my favourite print from the past few boxes. 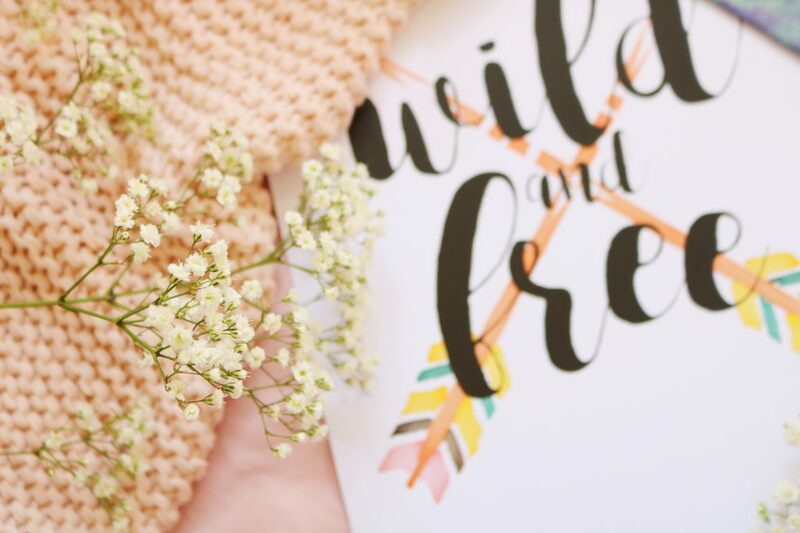 The print features the words ‘wild and free’ along with a cute arrow design – I adore the colour scheme of this print, it’s very me! Also within each box, there’s a leaflet explaining each item which features a mini monthly calendar on the back too. 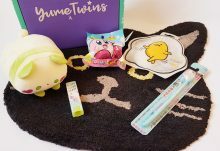 The last item is tied with the cute pin as my favourite item from the April Treatbox. It’s a banner flag with the quote ‘and so the adventure begins’ print onto the front. I love the national park/mountain scene on the front of the banner flag. The banner has a wooden pole through the top with twine on each end to hang the banner. 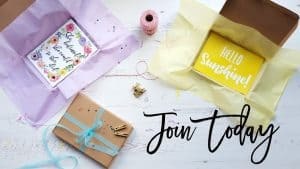 The April box is one of my favourites from the past few months but I think the January 2018 and November 2017 boxes are my all time favourites! Overall, I'm very happy with this box as well as the range of products. 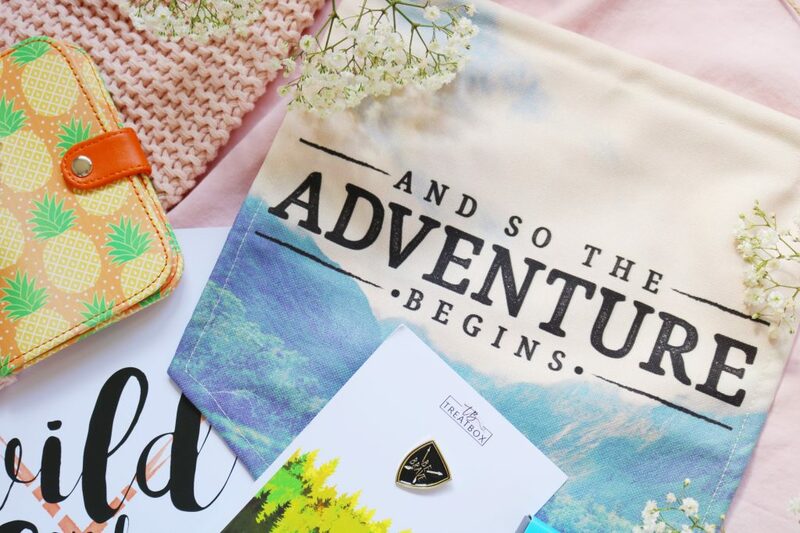 My favourite items from the April box have to include the 'be brave' pin and the adventure banner flag!